Hockey video games of today feature the highest level of visual effects and technology but it wasn’t always so. There was a time when ping pongesque gameplay was all that was on offer. Music and commentary were also a luxury! However, like all things tech, changes have happened swift and fast. The changes in the hockey video games world can be likened to those in the online casino gaming world. At first online casino games fans didn’t have a lot of options in terms of games and where to play. Today online casinos offer wide range of games there are even sites accepting PayPal deposit. In this piece however, we will be focusing on the history of the hockey video games by pointing out the major changes that happened during specific era. The first batch of hockey games started off on a very strong footing. There was sound effect and fighting straight off the bat. Slap shots and logos showing on ice came into play in 1994. Other interesting features were a crowd that booed poor players and identification of players by numbers. This was when music was added to the game. Some changes were equally made to the gameplay as back assists, defensive co-ordination big hits, faceoffs, break away goals were introduced. Additionally the offensive interaction was greatly improved. Most importantly, commentators came in with the 1998 batch of games. This was also the era that the sirens were first introduced. -Pucks post bounce and deflections, etc. The advancements continued well into the 2005-2009 era as we began to see more penalty like plays. It was also a time when players could slide on ice to block pucks. The live sound effects were improved on greatly and hits looked a lot more realistic. More moves were added to ensure better player freedom. Other interesting additions that came with this era are more active goalies, nutmeg passes, better control of set plays and of course individual player celebrations. This is the present day and as you would expect, graphics became near perfect and game play became very realistic. The more realistic game play meant an end to the snags that occur when you want to stop and reverse directions mid game. It was in this era that it became possible to have up to 5 players on a team. Players could now run into goalies and goalies can leave the net as part of the increased interaction in front of the net. Perhaps the biggest change to the hockey history at this stage was the addition of the online mode. The ability to challenge other players online ensured an increase in popularity of this niche and made the games more interesting. 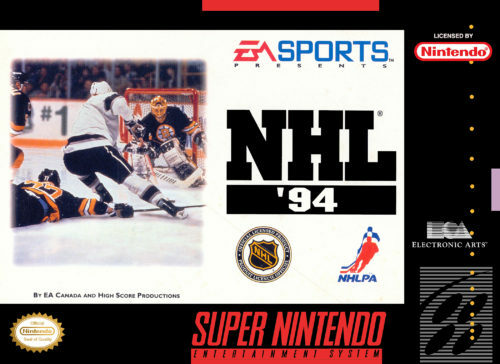 The hockey video game history shows a steady progression from entry level to near excellence. Long may it continue!